When you think about touring Israel, the most common consideration is visiting Jerusalem. As the largest and most historically significant city in Israel, it is also the most commonly visited. However, there is plenty to see when you visit Israel. Depending on your personal preferences, Tel Aviv is a city that you shouldn’t miss. As the second largest city and the center of commerce and entrepreneurship, Tel Aviv is a great addition to any tour of Israel. World Express Travel has a variety of itineraries that take you through Tel Aviv, as well as completely customizable options to fit your travel style. In all honesty, you could make a whole trip out of just Tel Aviv and the surrounding areas if that’s to your liking. In order to figure out if Tel Aviv is the right trip for you and your family, get to know the city a bit more and what some of the top attractions are across this unique and vibrant metropolitan area. 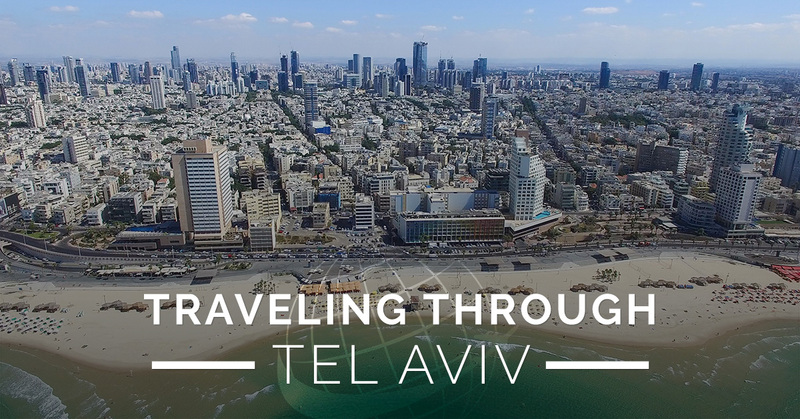 To start off your tour of Tel Aviv, it might be helpful to get oriented. A quick trip to the Azreily Lookout can help you get an incredible overview of the city in just one stop. You’ll enter these large buildings and head to the top. The circular tower of the two Azreily Center towers has an observatory on the top that will give you a 360 degree view of the city from over 650 feet above the cityline. You can’t miss a trip into Old Jaffa when you’re in Tel Aviv. Along with rich history, this port is also of religious significance for both Christians and Jews. As one of the oldest ports in the world originally known as Yafo, two significant events happened here. It is said that this is the port where Jonah headed out to sea, only to be eaten by a large fish. This is also the port where the Apostle Peter received a vision that eventually lead to a further ideological split between the Jewish and Christian faiths. 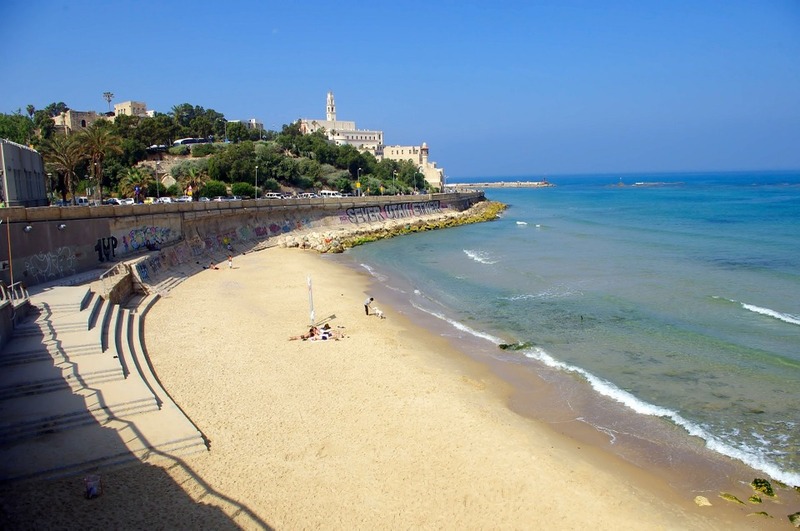 While you might not immediately think of Tel Aviv for a beach day, the truth is the city boasts some truly amazing Mediterranean beaches. It’s not often advised to get in the water due to the risk of jellyfish stings, but the warmth, sand, and waves can make for a truly spectacular day of rest and relaxation. Tel Aviv is often touted as the Silicon Valley of the Middle East, and for good reason. The Silicon Wadi is a major high-tech area full of startups and flourishing businesses. Many tour companies, including World Express Travel, can provide you with a unique tour of the area and many of the startups in order to get an insider’s view of this side of the city. Full of people, history, and rich culture, Tel Aviv is a place where you can truly indulge the senses. When you’re looking for great local eats, you really can’t go wrong in many places, but a few areas worth the stop include the Tel Aviv Port. This area in Northern Tel Aviv is full of bars and nightclubs so that you can keep the fun going 24/7. Tel Aviv can put New York City to shame as the city that never sleeps and claim the name for itself. If you need to check some gifts off your list and want to grab a delicious bite to eat as well, head to the Dizengoff Centre on Thursdays and Fridays. You’ll find an incredible food market on these days in this notable shopping centre in Central Tel Aviv. If you want to experience street food that is both local and traditional, then hit up the Carmel Market. Packed with food stalls that carry all the flavors of Israel and the Mediterranean, you truly can’t go wrong in Tel Aviv’s largest marketplace. While you are sure to see many tourists here, you’re also going to get a taste of local life when you visit. With many sites to choose from, it’s hard to decide what you just can’t miss on a trip, however, the Tel Aviv Museum of Art should definitely be high on your “Must See” list. This new museum that opened in 2011 is truly a sight to behold. With extensive traveling collections and a focus on Israeli art, you’ll get to experience a whole other side of the Tel Aviv culture by spending an afternoon here. For those who love architecture, there aren’t many better places to experience the Bauhaus influence than in Tel Aviv. Four Israeli architects studied under the German Bauhaus discipline and brought the design and style back to Tel Aviv. When you walk around the city center, you can find over 4,000 Bauhaus style buildings. The original four architects continue to influence current architecture in the city today. When you head to the Bauhaus Center you can take a guided tour with a group or an audio tour of the area that has been declared an UNESCO World Heritage Site. Tel Aviv can be a trip in and of itself if you’re looking to explore the wonders of Israel. Simply contact World Express Travel and book your personalized itinerary to tour this part of Israel. We look forward to helping you plan an adventure of a lifetime.